There was once a time I considered these videos to be the greatest things in the world. There was another time I felt embarassed by these videos and wanted nothing to do with them. But now I've come back to embrace them because they are my roots. These videos have set the foundation for everything I've ever done and will continue to do. I started these videos back in the summer of 1999 after getting my first video capture card (The CPH030 TV Tuner) and firey, the webmaster of Orange Star High School started taking my video clips and made videos to them. I was determined to make videos like how firey did and I remembered that my CPH030 TV Tuner came with a version of Adobe Premiere 3.0 LE. After 2 months of trying to learn it properly, I finally made my first real video One More Chance in August of 1999. Sadly, not many people would see it until I finally got good hosting from planetnamek.com in November of 1999. Realizing how incredibly fun making music videos was, and armed with both determination and a small amount of VHS tapes, I began to produce videos on a near-daily basis. The earliest videos were done with a Pentium 1 with a speed of 200 GHZ, 3 GB of Hard Drive space, Windows 98, 32 Megs of RAM, a 33k modem, and a 1988 JVC Camcorder hooked up to my CPH030 TV Tuner card. Despite how slow my equipment was at time, I was still motivated enough to tough it out and still produced videos. 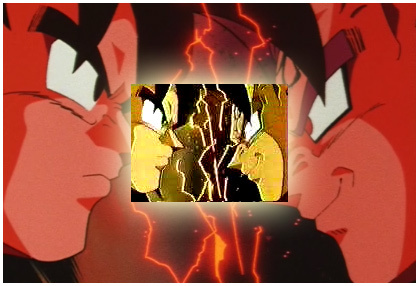 The JVC Camcorder couldn't playback EP recorded tapes which I had most of my Seasons 1-2 recordings on, so that's why I couldn't really incorporate alot of the early stuff into my videos (yes, the fans pointed out that I was severly missing Raditz footage in my videos). It took me about a year to afford another VCR so I could finally get footage off my early tapes. In 2001, I upgraded to a computer with an AMD Athlon 1.5 Ghz processor, 40 GB of Hard Drive Space, 512 MB of RAM, and a Pinnicale Studio DC10 that could actually output to VHS tapes. 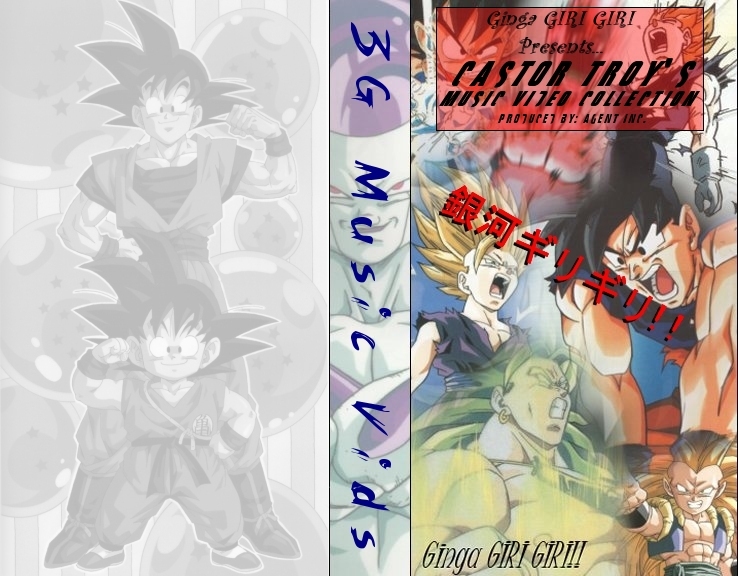 I wanted to make a "3G Music Video VHS tape" for the longest time and created the 3G VHS Tape Intro (Part of the Unreleased Compilation) to play at the start of the video. Sadly, I got too occupied with other things and never got around to re-doing the videos with VHS tapes. 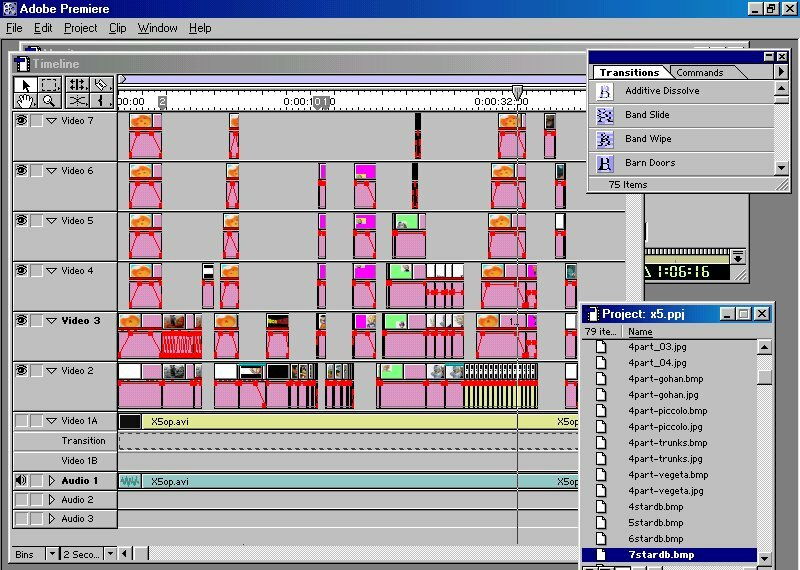 Throughout most of 2001, I was having hosting problems and most people were unable to get most of my videos. I would still have these problems until 2002, when I finally closed the site for the first time. 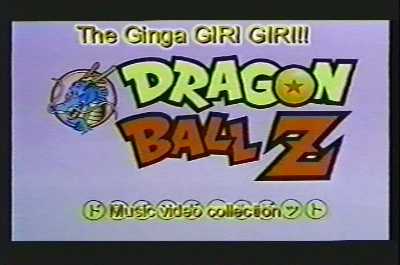 After I closed the original 3G site in 2002, I still had the notion to remaster all of my old videos now that I was able to afford most of the DBZ DVDs. 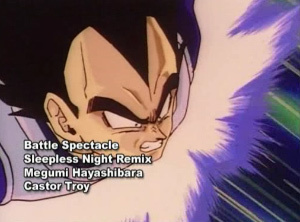 My 2nd attempt at remastering my videos came in 2003 and I decided to start off with one of my personal favorites: Battle Spectacle. I honestly didn't like how the remake turned out and decided that it wasn't a good idea to remake the videos anymore. 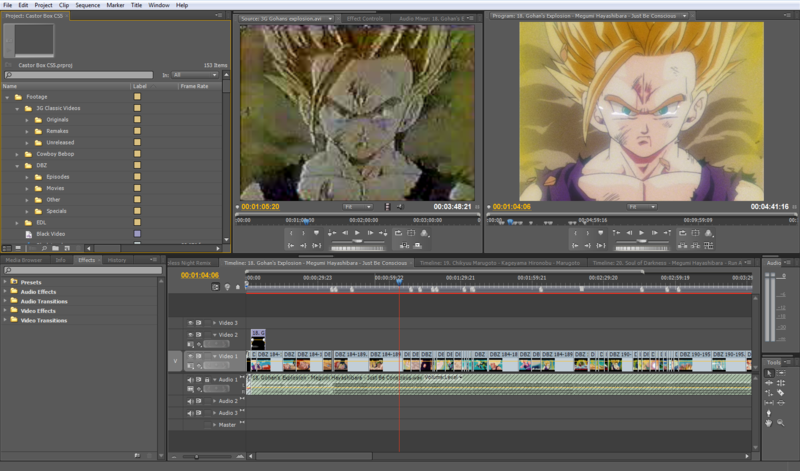 After putting the idea of remastering the videos away, I moved onto other projects. However, the fan demand was still in full gear. 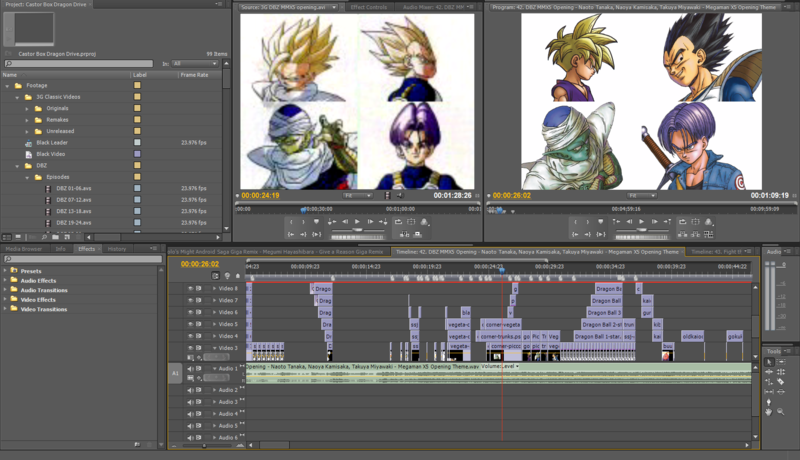 Ever since the DBZ DVDs started coming out, the fans have demanded that I remake all of the videos. Even after I closed my site. It was still the biggest fan demand for over a decade. 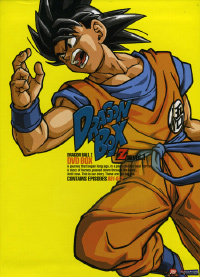 For many years, I've wanted the coveted Dragon Box so badly, but was never able to acquire it, except for the movies one in 2006. With my newly built Quad Core PC, 8 GB of RAM, 3 TB of hard drive space combined, both the US and JP Dragon Boxes, plus years of both AMV and Professional editing experience, I finally was convinced to remake the videos. Starting in July of 2010 and finally completing it in Feb 2011, the "Castor Box" (A name suggested by a fan on youtube) was born. It was a complete joy to work on the Castor Box since I finally had the entire series in Dragon Box quality as opposed to a small amount of VHS tapes. Luckily, with all my experience and the advancement of technology in the past decade, I was still able to work on all the videos even with a full time job. Many of the videos were quite easy to remake, some were tougher than others, and most importantly, I was able to remake several of them to match my original vision and was able to tie up loose ends by finally finishing my incomplete videos. It's amazing seeing the old 160 x 120 videos now redone with the greatest quality possible.